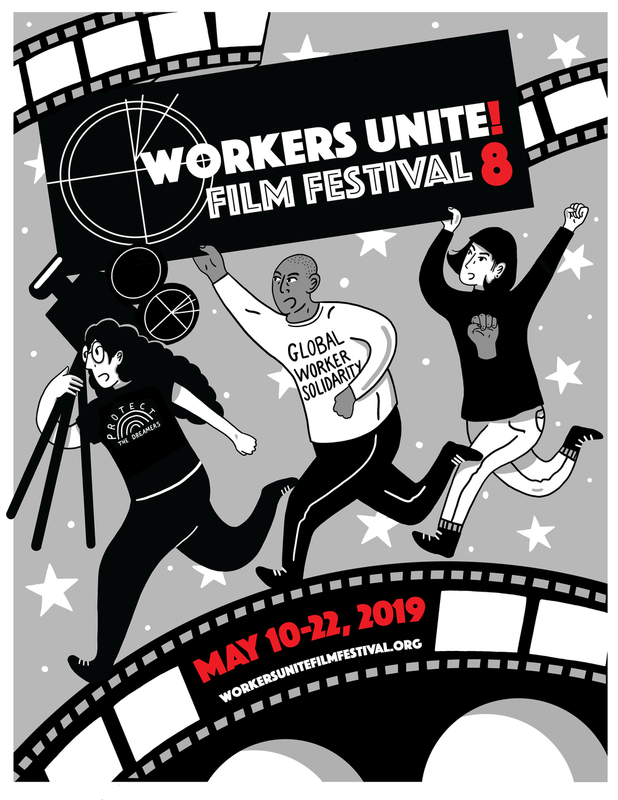 A special event co-sponsored by the Workers Unite Film Festival, Radical Film Network, Third World Newsreel, National Writers Union, and CUNY Murphy Institute. 11.40am-12pm: Introduction, Andrew Tilson (Workers Unite! Film Festival) and Steve Presence (Bristol Radical Film Festival/University of the West of England Bristol). 12-1pm: Keynote presentation: ‘Imagining Change: a short history of radical film in the USA’, Chuck Kleinhans (Co-editor, JUMP CUT: A review of contemporary media). Chair: Alexandra Juhasz (CUNY). 2.30-3.45pm: Panel 1, ‘Approaches to Community and Youth Media-Making with Karina Hurtado (Global Action Project, NYC) and Paolo Davanzo (Echo Park Film Centre, LA)’. Chair: Mike Wayne (Brunel University). ‘Every Fold Matters: A live performance with film about the work of doing laundry’. Created by Lizzie Olesker and Lynne Sachs, and featuring performances by Jasmine Holloway, Veraalba Santa and Ching Valdes-Aran. 12-1pm: Panel 3, ‘Politics and Aesthetics, with Oliver Ressler and Barrie Cline (Workers Art Coalition)’. Chair: Gregory Sholette (New York University). Time: 6PM: doors open, performance begins at 6.15pm. 11.30am-12.30pm: Panel 7, ‘Filmmakers of the world, UNITE against racism and capitalism! A history of Contraimagen group with Violeta Bruck (Contraimaigen, Argentina). Chair: Svetla Turnin (Cinema Politica). 2-3pm: Panel 8, ‘Organising Exhibition, with Svetla Turnin (Cinema Politica, Montreal) and Elson Menegazzo (Brazilian International Labour Film Festival, São Paulo)’. Chair: Andrew Tilson. 3.15-5pm: ‘Building sustainable radical film cultures: closing discussion led by Karen Ranucci’. 10.00: Coffee-morning debrief and next steps.